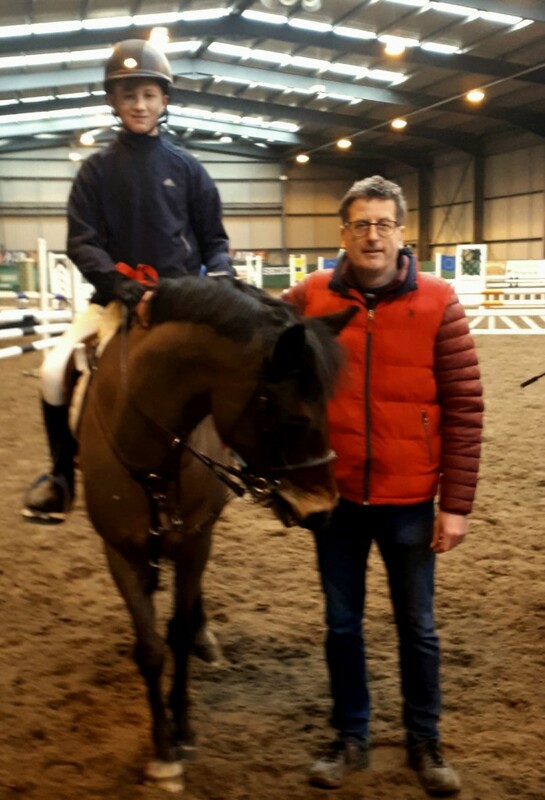 The equestrian teams once again travelled to Broadmeadow Equestrian centre on 3rd February as part of the Equestrian Interschools Ireland Showjumping League. Joshua Halford put in an excellent performance winning first place in the Individual Open event. 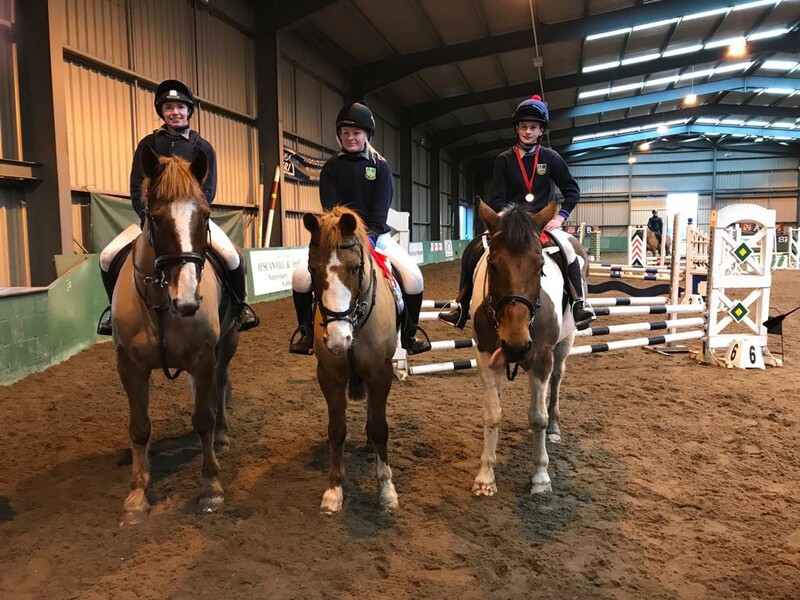 In the team events Alan Donoher, Chloe Butler and Darcie Murray got through to the jump off and in a nail biting finish won the novice competition. 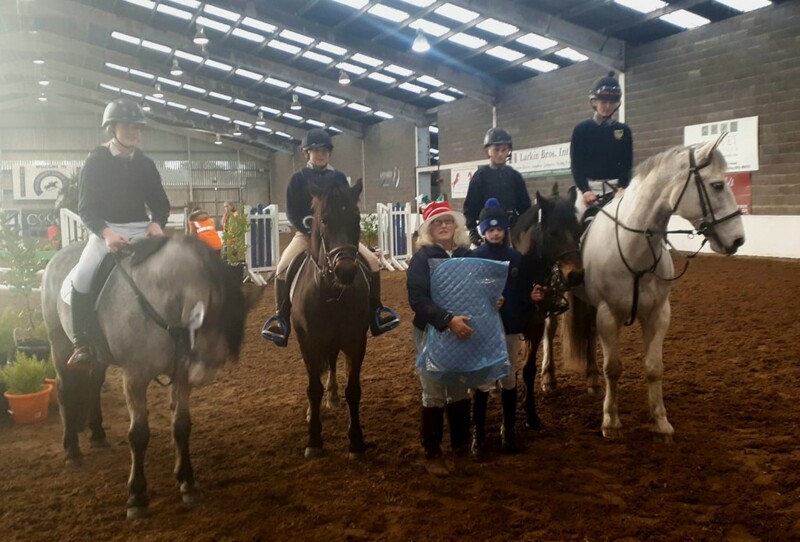 The Open team; Adam Flynn, Christine Worrell, Joshua Halford and Shauna Casey built on their 4th place finish from their first event finishing in 2nd place on 9th December at Killossery Lodge. Huge congratulations to all the students and their trainer Louise Halford. Unfortunately the event on the 10th February had to be cancelled as a precaution against Equine Flu. There are a number of upcoming events around the country the teams will be taking part in. There will be show jumping in CoilOg Equestrian Centre in Kilmeague, Naas on the 7th April. All supporters welcome! Previous story Aladdin 2019 + Photos!